We select the highest quality hardwoods for our exclusive range of bespoke garden features, which are handmade by our team of highly skilled craftsmen. All hardwoods are chosen for their durability and mellow with age, which makes it the perfect material for the timeless qualities of our designs. 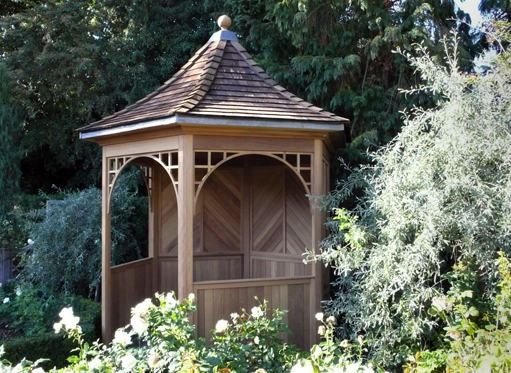 Whilst offering an extensive range of products such as trellis, planters and gazebos, our team of designers will work with you to achieve a custom design to suit your requirements. As a company we are committed to sustainably sourced materials and products.